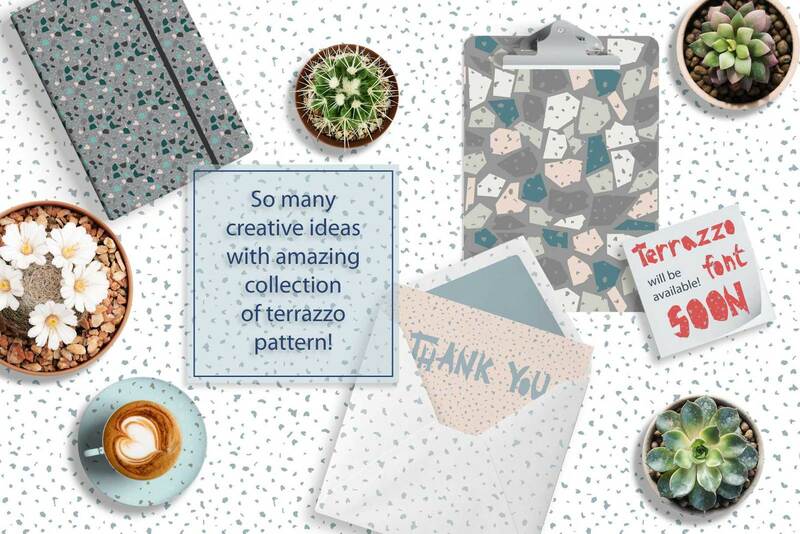 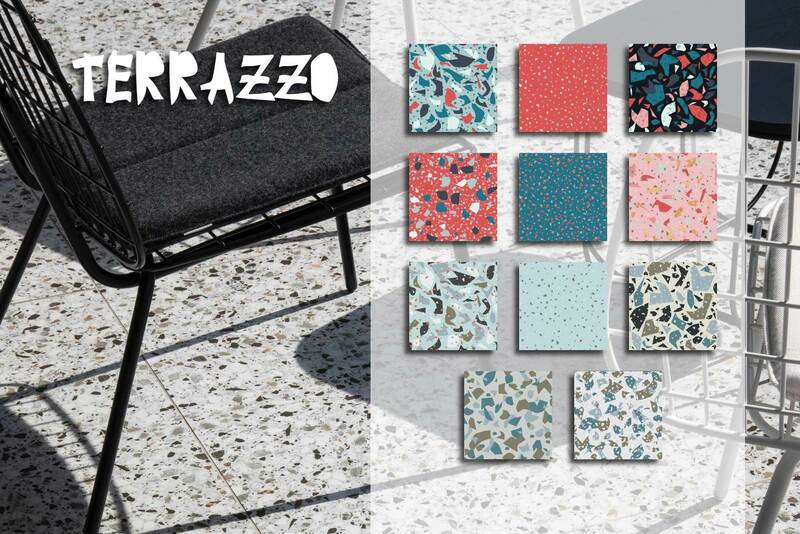 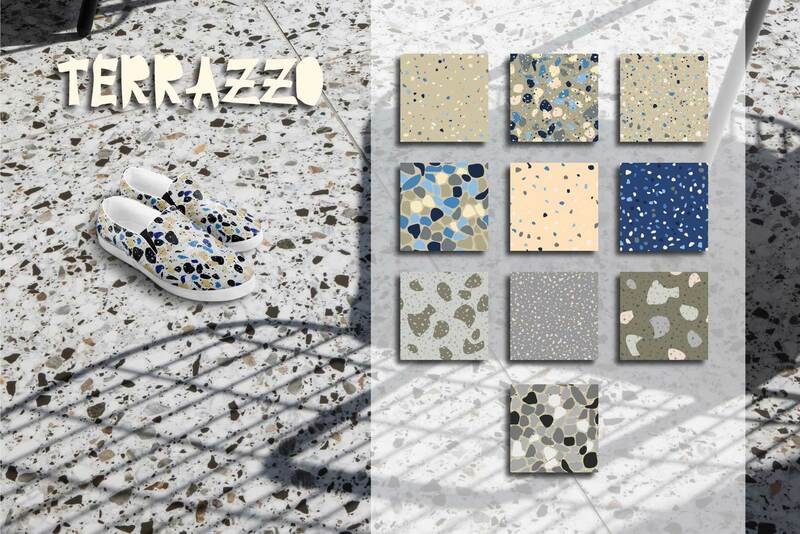 Collection of amazing seamless pattern inspired by the beautiful nature of terrazzo (composite material consists of chips of marble, quartz, granite, glass). 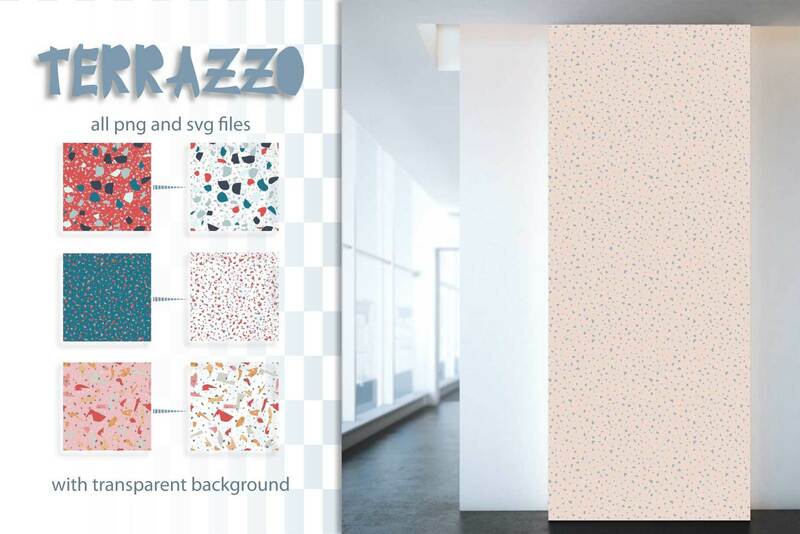 With this amazing set of seamless pattern, you can create great design of packaging, textiles, stationary, branding, posters and… other. 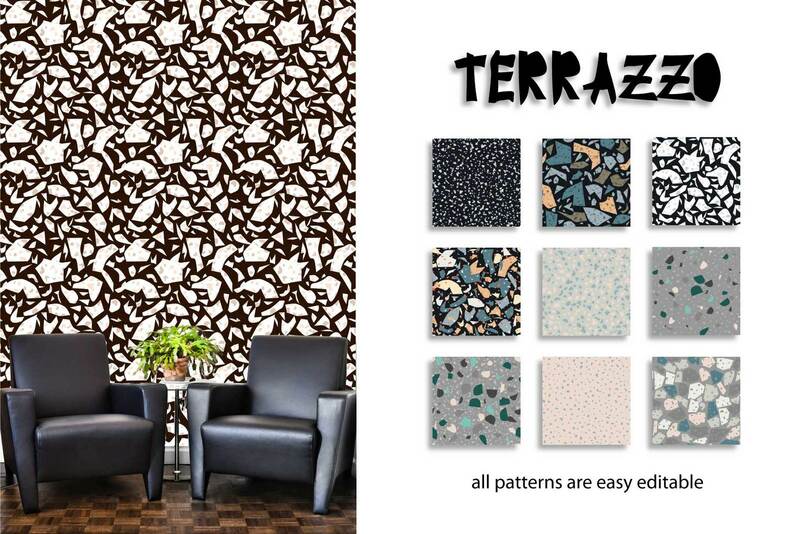 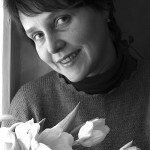 I hope you will like patterns and you use them to create their own projects and it will give you a lot of pleasure.